We’re still awaiting official word from one or both companies, but the signs look pretty clear: the Vintage Park location of dine-in theater Alamo Drafthouse is about to be taken over by competitor Star Cinema Grill. The Houston branch of Drafthouse Cinephiles, a Facebook group for fans, have been fretting about the fate of the theater since November 25 after noticing there were no movies scheduled for the Vintage Park location past this Sunday, December 4. We were able to speak with him briefly the following morning. He said that he was not able to comment on the matter and referred us to Alamo Drafthouse corporate publicist Brandy Fons. While we have heard from Fons, we still have not received an official statement or press release. The writing on the wall, though, seems pretty clear. The Star Cinema Grill web site already has job listings for the Vintage Park location. In addition, people who had already purchased tickets for the forthcoming movie Rogue One have reported receiving refunds. There are still many unanswered questions, such as why Alamo Drafthouse is exiting the Vintage Park area, especially at a time when it’s growing. For example, the second Houston-area location of The Halal Guys opened just down Louetta and there’s a Hopdoddy planned for the Vintage Park center. 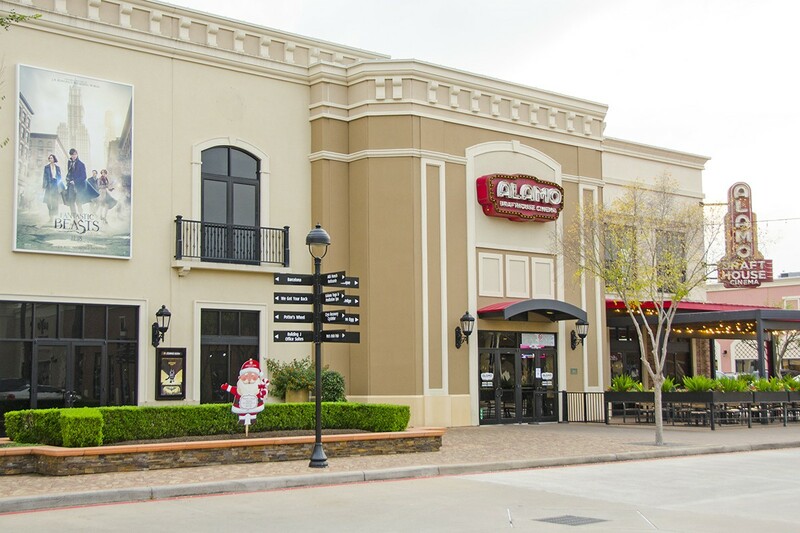 There’s also no word as to whether there are any big decisions coming for the only other Houston-area Alamo Drafthouse, which is located at 531 Mason in Katy, or if there’s still a Sugar Land location in the works. The Alamo Drafthouse web site currently has a placeholder page for the proposed Sugar Land venue that reads, “Coming Soon” but there are no job listings for the new location yet. One person on the Drafthouse Cinephiles Facebook group claims to live next door to the proposed location and says Alamo has yet to even break ground. A member of the Drafthouse Cinephiles fan group claims that there’s been no progress on Alamo Drafthouse’s previously announced Sugar Land location. We are still expecting to receive an official statement or press release and will update this article when we receive it.